Model 2000NR Labeler | InLine Packaging Systems, Inc. The Model 2000NR is designed to apply front and back labels to non-round and round bottles at speeds up to 300 bpm. 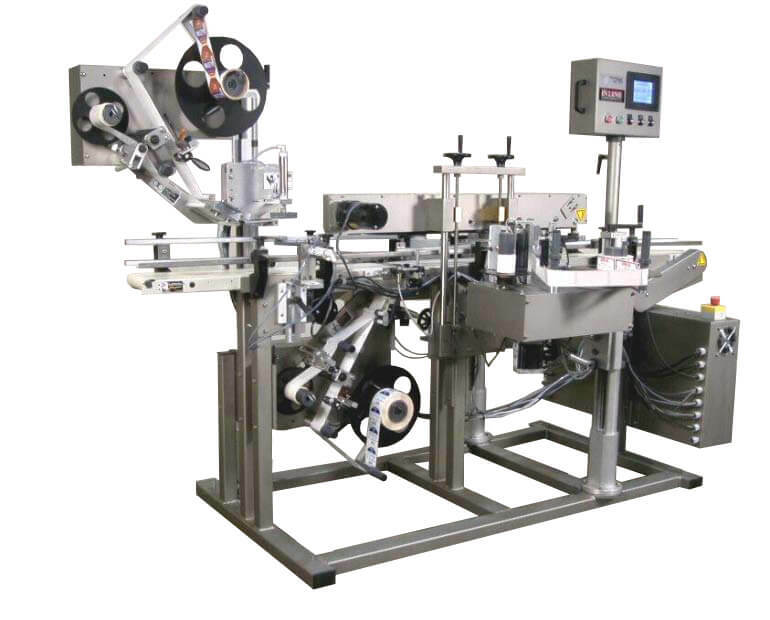 By adding a third labeling station and a Wrap Station Assembly, the 2000NR can apply neck wrap labels to round bottles. The addition of a Wrap Station will allow single wrap applications as well. All machine speeds and label application are controlled through the microprocessor controls, stepper motors, and servos. An operator-controlled touch-screen interface insures ease of operation and convenience. Timing screw infeed control is standard on this machine. The 2000NR is equipped with our “Autoset” function allows the machine to measure the label lengths, bottle widths, and calculates the appropriate timings. Up to 1000 settings can be stored as recipes and retrieved as recipes for different packages. Our Model 2000NR Labeler means business. In one efficient machine, you will find the precision and accuracy you need with the speed and capacity to take on large operations. We know the industry and we know the biggest challenges of the industry. That’s why we’ve spent the last 20 years developing solutions for beverage companies that save time and money. We also back up our products with a one-year warranty. And we provide support after the sale. When you choose In-Line, you partner with us for the long-term. 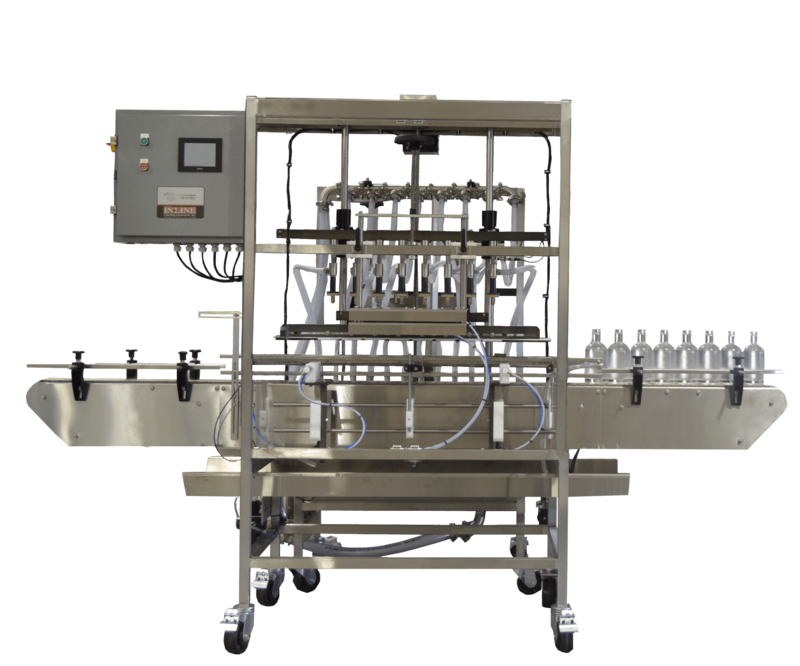 We are here to troubleshoot and provide solutions for your bottling needs, long after the purchase is complete. We are passionate problem solvers. We enjoy taking on efficiency and process issues and creating systems that run seamlessly. Our labeling, filling, bottling, and packaging solutions will meet your needs. Give us a call today (link to Contact page) and we will get you set up with a custom solution for your business!